Despite the fact that these Bluffs parents were put off by my recital scheduling on the day of a mega sports event, they still managed to show up for their kiddies’ concert with a variety of television hook-ups. Since iPhones had not yet arrived, I wished I had brought my camcorder to videotape some of the instant replay videotaping going on. No joke. The unpleasant distractions virtually ruined all of my students’ performances. A high brow Baroque Festival sponsored by the Music Teachers Association of California had been planned in the afternoon, and one of my ten-year old students eagerly participated. 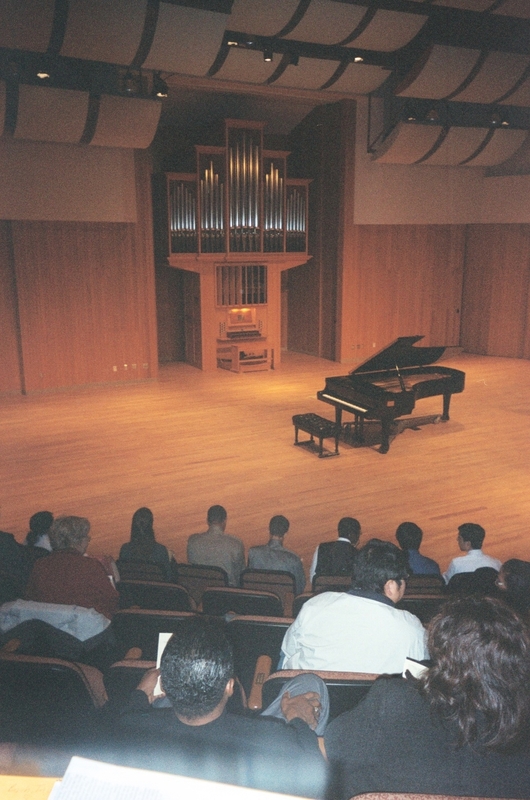 The event had a competitive edge because only 1/3 of the entrants would be selected to go on to the Regional recital. In simple terms, those who were picked in this round by two esteemed out of town judges, would play in March at an Honors performance. It came with a Certificate of recognition and a handsome medallion. Not exactly an Olympic event, but for some keyed up students, it was a good comparison. 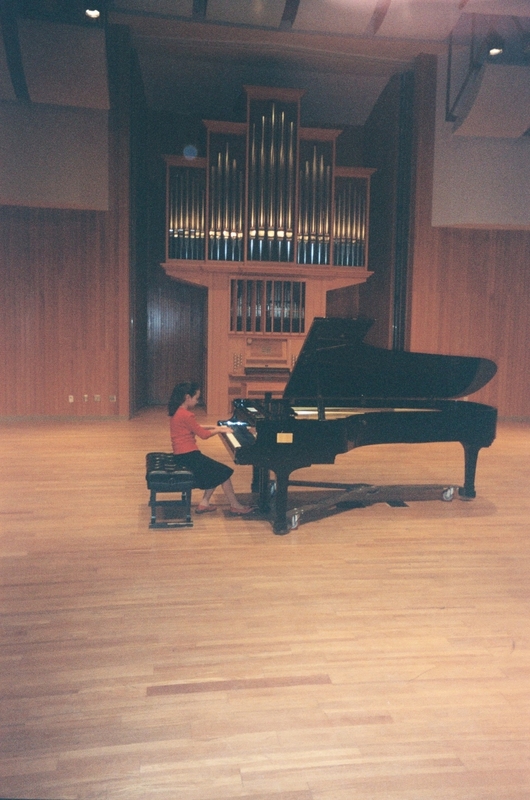 For starters, at 11:30 a.m. my student and I met at the concert hall to test out the stage piano. Just last week, I had nearly died, thinking I missed my student’s run through, because a mistake was made in the announcement put out by the local music teachers association. Or maybe it was last year’s flier that got sandwiched into my branch’s Yearbook with an erroneous date of 2011 instead of 2010. Naturally, with the old dating, the February Festival would have been past history along with me. What a relief to have come back from hell this week with another shot at being this kid’s teacher. Close call. Today this very talented youngster performed two Bach Inventions weeks after she had appeared faceless on You Tube demonstrating her technical prowess. With only her HANDS on camera, she was put through grueling technical paces, playing every scale and arpeggio known to mankind. A bit of an exaggeration, but used to give her credit for hanging in there with a camcorder gaping over her shoulder. In any event, the formerly invisible student, finally emerged with a face attached to her name, along with an assigned number that followed her to the Walberg concert hall stage that was equipped with a 9 foot size Yamaha. Incidentally, last year I had learned a mighty lesson about Festival pianos and warming up. Mistakenly, I permitted a student to practice on a small upright piano in one of the university’s cubicles after she had tried out the concert hall’s concert grand. The diminutive practice size instrument had a very light action by comparison to the house piano’s resistant touch, so when my pupil played the first few notes of Beethoven’s “Moonlight” Sonata on stage, they totally disappeared. Naturally, she was caught by surprise and remembered the most recent piano she had tried. Live and learn. The atmosphere at today’s Festival, or COMPETITION, was superficially low keyed. Everyone was supposed to be celebrating the age of the Baroque without a second thought, and I guess I should have joined in the fireworks, or the candle lighting ceremony but neither took place. In preparation for the ordeal, or golden opportunity, however one wanted to spin it, I gave my student a copy of Just Being at the Piano by Mildred Portney Chase and told her to meditate over several selected, underlined passages. These words had worked like magic with another student who had made it to the Regional recital two years ago. In honor of her sterling playing, I had framed a picture of her holding a Certificate and wearing the medallion. But by far the truest memento of her 2009 Baroque Festival appearance, was a DVD that captured a portion of her “live” performance. PS An in depth documentary is in progress about what transpired at the MTAC sponsored Baroque Festival. In the meantime, winners will be alerted by email on Sunday Feb. 20, 2011 so the suspense is killing most of the participants.